With the internment of Japanese Americans, it became necessary to create isolation centers for internees deemed “troublemakers.” One such center was in Leupp, Arizona, on the Navajo Nation. The Leupp Isolation Center’s creation was the result of events that happened thousands of miles away. On December 7, 1941, the Imperial Japanese Navy attacked the American naval base at Pearl Harbor, beginning a surprise blitz throughout the Pacific. Many in the nation, including government officials, feared a Japanese invasion of the West Coast. In this climate, on February 19, 1942, President Franklin Delano Roosevelt signed Executive Order 9066, which created zones of military exclusions and enforcement of military decrees, including the internment of American citizens of Italian, German or Japanese descent. Federal officials placed 120,000 citizens and residents of Japanese descent from the West Coast into ten camps, located in western states. 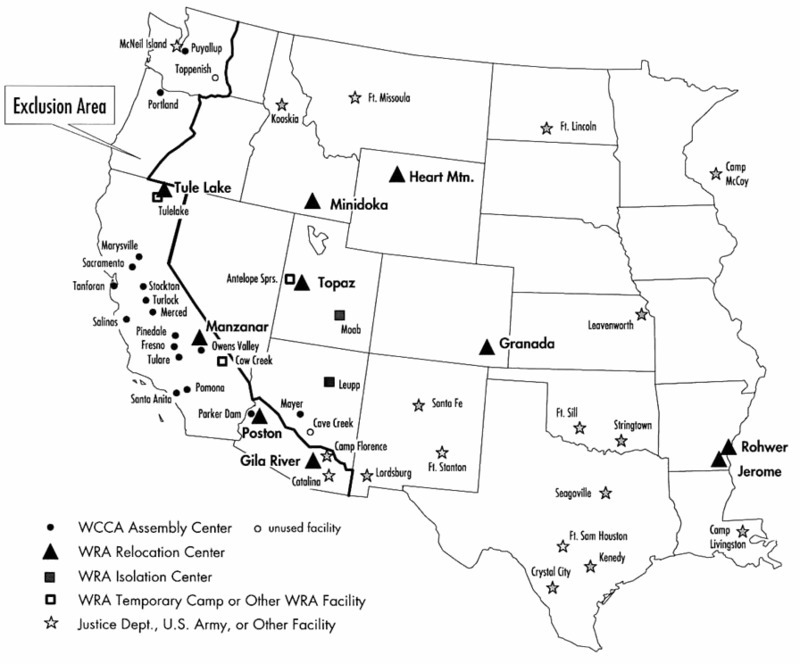 The government created the War Relocation Authority(WRA) to govern the internment camps. Naturally, the uprooting and imprisonment of so many people, including American citizens, resulted in troubles in the new camps. Resentful of the extralegal imprisonment, many of the relocated citizens rebelled against camp authorities. Many of the camps experienced a degree of civil disturbances. In December of 1942, a clash between inmates and guards at Manzanar Camp in California resulted in two deaths and several injuries. Such disturbances led officials to create separate penal camps for such “troublemakers.” Although originally meant to deal with the supposed ringleaders of the riot, the camp’s population expanded as the WRA did not tolerate any opposition from the prisoners. Thus, authorities could send dissenters to a camp for infractions that ranged from organizing inmate protests to calling a white nurse “old maid.” In 1943, the government held such “security risks” in an old Civilian Conservation Corps camp in Moab, Utah. 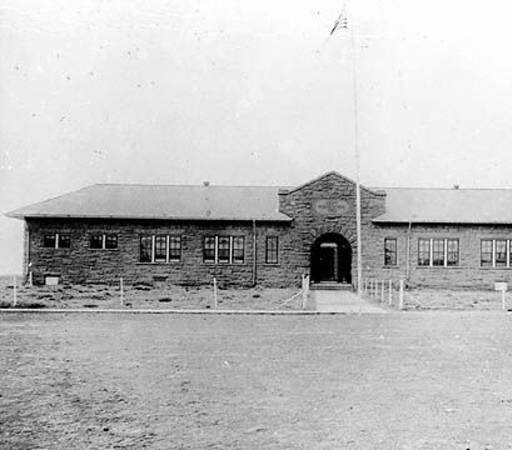 However, officials decided to later move the group to Leupp, Arizona, and house them in an abandoned Bureau of Indian Affairs (BIA) boarding school. The BIA named the school after Francis Leupp, Theodore Roosevelt’s head of the BIA. Originally built in the 1920s, the school had housed 500 students, though in 1942 it closed because it sat on a floodplain. Renovated in April of 1943, 150 military policemen staffed the camp, guarding a peak population of around eighty prisoners. The camp proved short-lived. In late July 1943 Camp Administrator Paul Robertson replaced Ray Best. Robertson recognized the illegality of the incarceration of the internees. Thus, he immediately began the process to close the camp. By December 1943, the penal camp shut down and the prisoners relocated to Tule Lake Isolation Center, a new isolation center. In 1944, the WRA returned the land to the Department of the Interior. 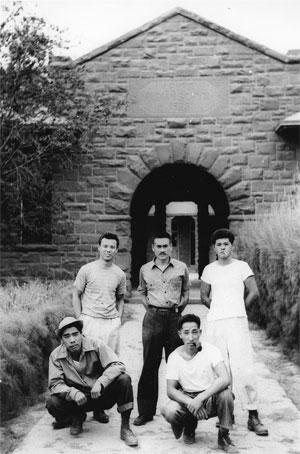 In 1945, authorities eventually released Japanese internees, after the end of the war. 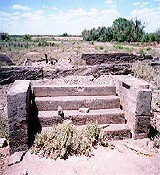 Little remains of the camp today beyond the ruins of the school building. The guard towers, fence, and other school buildings no longer stand. Christian Flanders, Northern Arizona University, “Japanese Interment in Camp Leupp,” Intermountain Histories, accessed April 19, 2019, https://www.intermountainhistories.org/items/show/52.